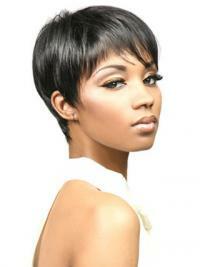 African American wigs are made from high quality human hair/fiber, which is virtually indistinguishable in appearance. With many varieties of wig collections, styles, colours and textures you can change your hairstyle for fun, fashion and to fit the occasion without altering or damaging your own hair. These wigs were constructed to highlight the strength and beauty of African American women. 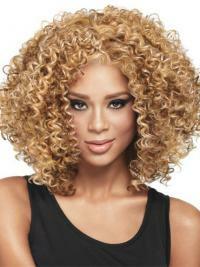 All the fabulous wig styles that fit you and your lifestyle are right here. Our best African American wigs are constructed of only the finest quality synthetic fiber or remy human hair fiber which is nearly indistinguishable in appearance except to the most practiced eye. You can free customize online and there are multi colours for you to select. Our vivhair.co.uk can make you more charming! Select your favorite curly full lace wig to have a most natural looking for your daily use and to update your whole appearance! Choose us and we won't let you down!